The International Federation of Coalitions for Cultural Diversity (IFCCD) was founded in Seville (Spain) on September 19th, 2007. It supersedes the International Liaison Committee of Coalitions for Cultural Diversity (ILC-CCD), an informal network created in March 2003 to facilitate exchanges and co-operation between existing coalitions in the world, and to encourage ratification of the Convention. Now organized as an official body, the coalitions for cultural diversity will carry the voices of the cultural professionals to the highest levels of international institutions. The IFCCD is set up as a corporation in Canada, with headquarters based in Montreal. 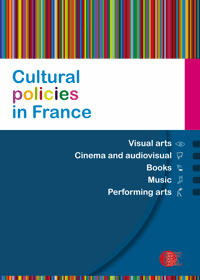 The French Coalition for Cultural Diversity is the IFCCD’s representative to the UNESCO in Paris. In July 2009, the IFCCD gained the status of NGO in formal relations with the UNESCO.